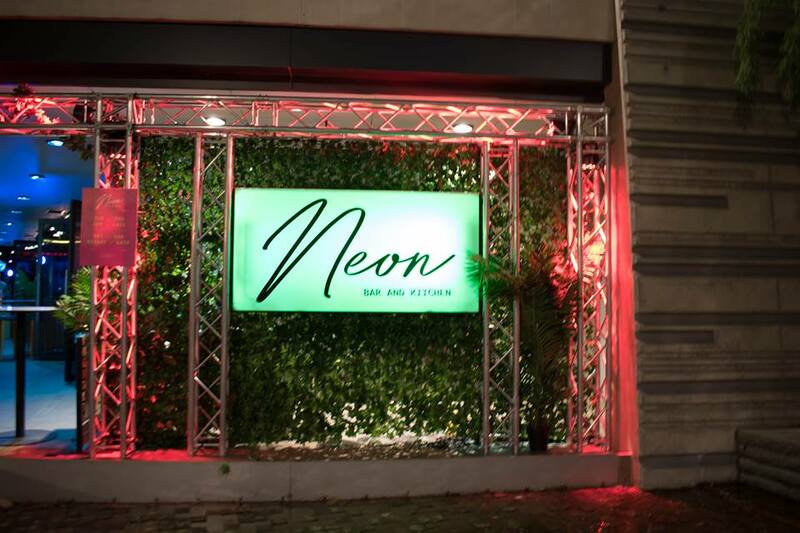 Adelaide’s new pop-up venue, Neon Bar and Kitchen, hosted its official opening last Wednesday night, November 22. 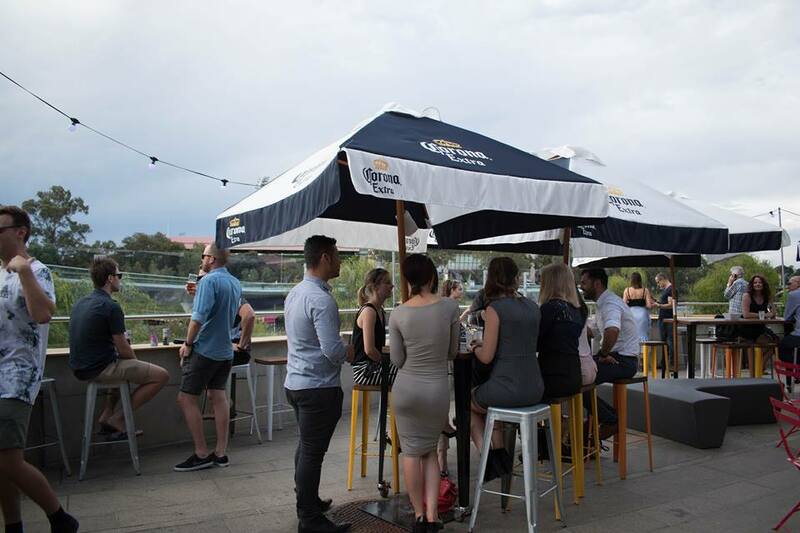 Inspired by the colours of the sunset reflecting off the River Torrens, the Miami themed Neon Bar and Kitchen is situated right on the Adelaide riverbank, making wonderful use of the beautiful views of the waterfront and the Adelaide Oval. Neon is the prefect place to catch up with friends or workmates for an afternoon drink, or even to grab a meal and listen to some live music. Closely working with the Adelaide Festival Theatre, Neon hopes to create the best experience for guests. Neon works around the timetable for all upcoming shows, tailoring their dinners and drink times so theatre goers can come to Neon for a meal before the show and come back afterwards for drinks and a chat; with the hopes that even the actors might take part in the pop-up bar and kitchen, enjoying great food and drinks with the crowds. Chef Nick Filsell, previously from ‘Lost In A Forest’ has created a delicious menu of street style food that can all be eaten by hand. Using fresh local ingredients, the food is something that is easy to eat while standing and having fun; there is no need to sit down to eat with a knife and fork if you want to. “The food is interactive and fun and everything has a novelty behind it”, Chef Filsell said. 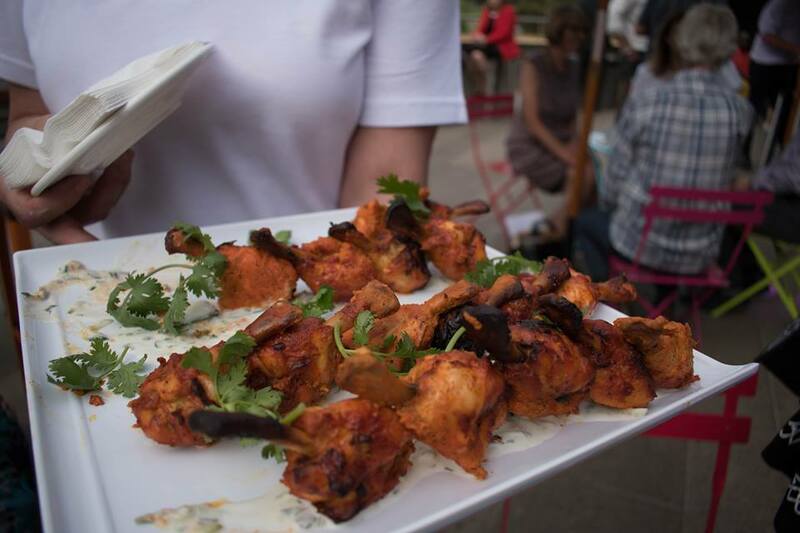 The menu flavours are set to change every week, so the next time you come in, there will always be something different to try. 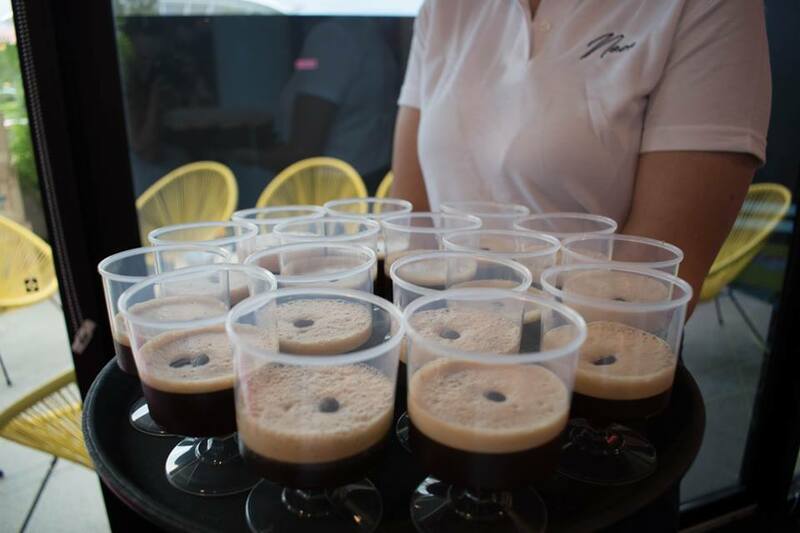 On the opening night, waiters carrying around trays of drinks first welcomed us; also carrying around some sample items from the menu for us to taste. Some of those dishes included: A Salami Board, filled with prosciutto, sopressa, kangaroo, peppers, cranberries, pickled onions and olive oil crostini; A Cheeseboard, of fine cheeses with muscatels and poppy seed lavosh; The Hot Potato, fried gnocchi with arrlabiato pesto; Fried Polenta Chips, with black garlic and truffle salt and garlic aioli to dip; Lamb Skewers, with coriander and spice; and Flamingo Wings, tandoori chicken lollipops served with a mint and cucumber raita. 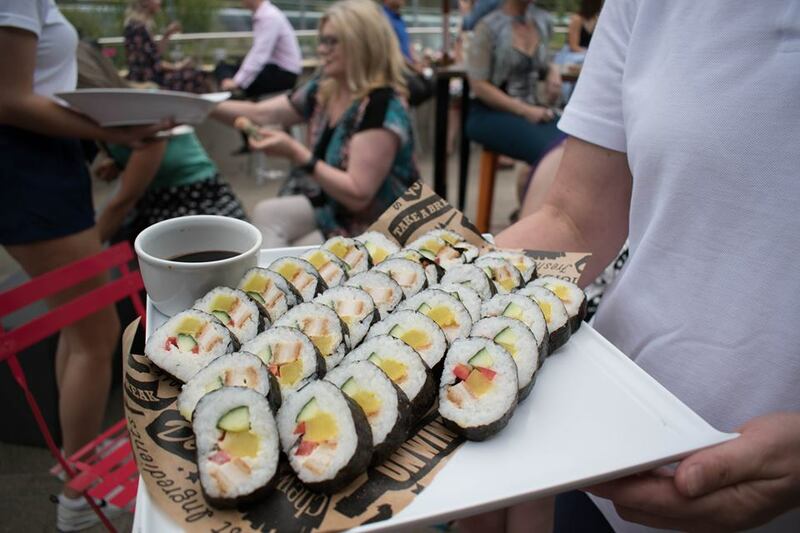 We even got to try some Sushi, vegetarian and chicken, and Cold Roll samples that are only to be introduced in upcoming menus. All dishes were cooked and made to perfection, everything having huge flavour combinations that left guests wanting to come back for more. On Sunday nights, Neon has also paired with some of Adelaide’s favourite food trucks that will take over the kitchen and serve up something different. Neon also offers guests a range of amazing summer cocktails and share drinks are sure to be popular over the coming warm summer nights. They also offer a range of house wines and feature beers including Fat Yak and Corona, which is served in a can; plus plenty more. Friday and Saturday nights will feature a rotating list of lounge and house DJs. Ambient music will feature a fresh summer music mix with the ability for guests to interact and pick the music. Sundays will feature more DJ’s, also accompanied by percussionists. 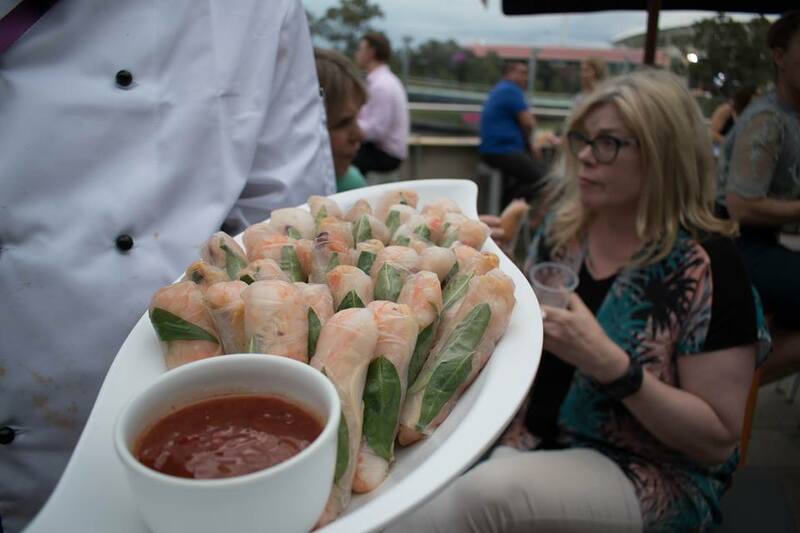 Neon has worked hard to produce a pop-up bar and kitchen that will please everyone’s needs, giving both tourists and locals the best experience they can have on the River Torrens. Neon is open from 3pm Tuesday to Thursday, and Midday Friday to Sunday and will stay open till the end of January 2018. Free entry other than for special events, the best access is under the footbridge from the Festival Theatre. 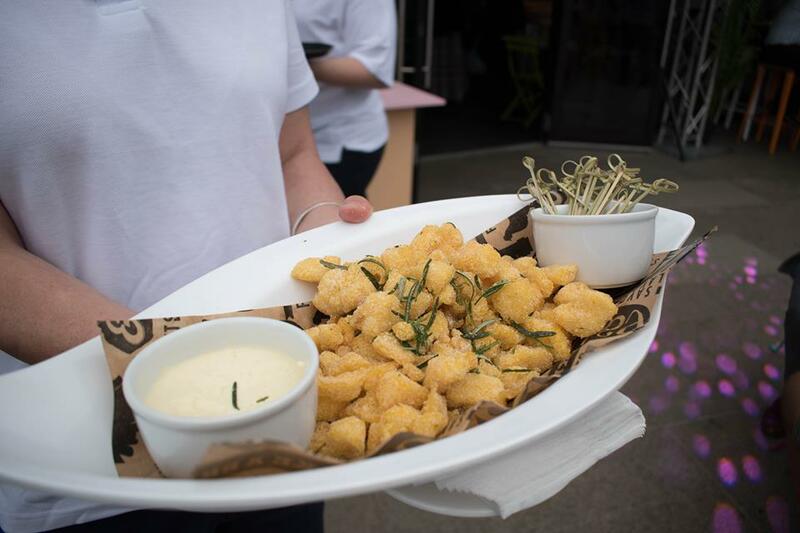 With a great position on the waterfront, fantastic entertainment and great food, why not come and soak in the Miami vibes or catch up with your friends this weekend?